Cozy vibes meet your Bucktown cool girl? I think so! 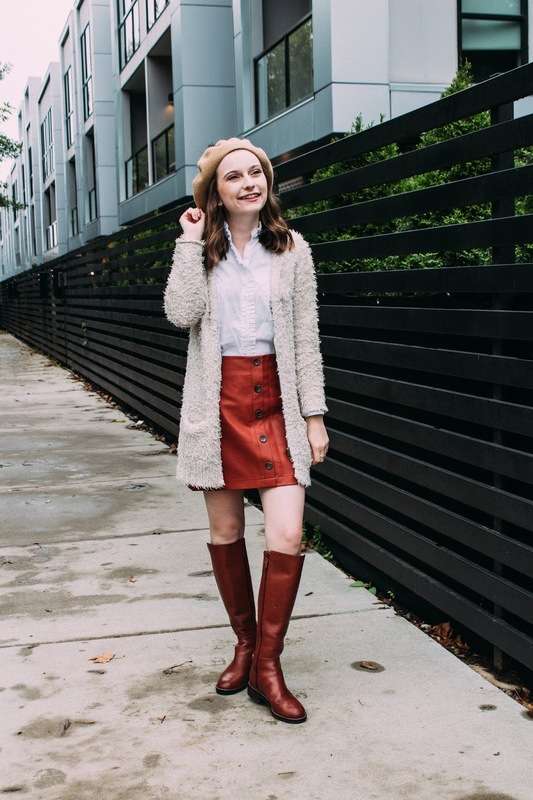 Normally I am not a leather skirt kind of girl, but I love this faux leather mini skirt from Forever 21. 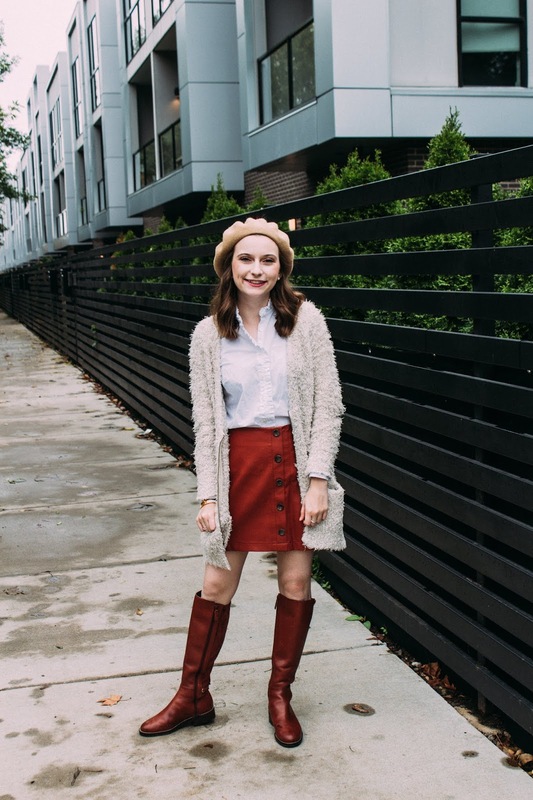 It's a rich redish brown color which makes it perfect for fall. Usually leather skirts are black and dark, which just isn't me. So, I love this option to still rock the trend! Best part it is currently on sale for under $13! Such a steal. It's actually pretty good quality too! 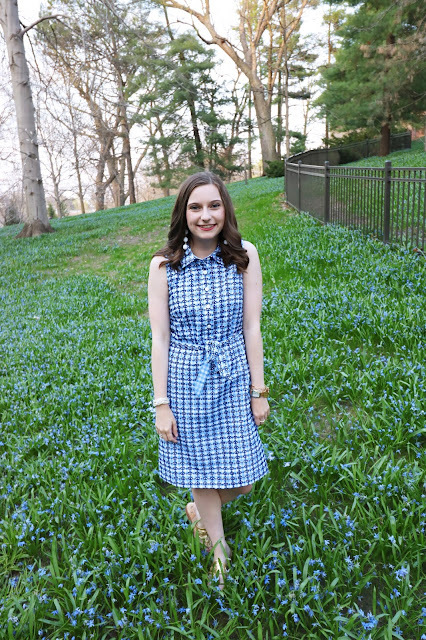 I paired the skirt with a classic ruffled button down to add a little bit of preppy style to the look. Layered on top is my favorite cozy fuzzy sweater. Fun fact: I've had this sweater since high school!! 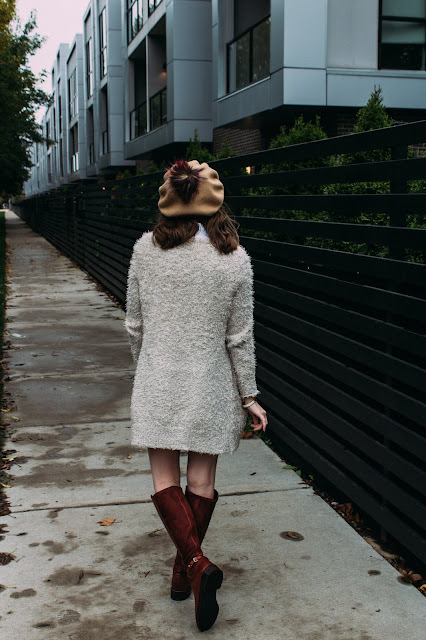 You don't always have to buy a ton of new clothes each season. Let's be honest, sweaters don't really change that much. So, be sure to re-wear some of your past favorites each season. Might I add that this sweater is so cozy. It has a zipper closure so it has a little bit of fun details. Plus pockets are always a positive. Fuzzy cardigans like this are a great substitute for a light jacket when your fall weather is on the mild side for the day. It's like wearing a blanket, but socially acceptable outside of the house. I'm bringing the beret back out to play guys, sorry bout it. 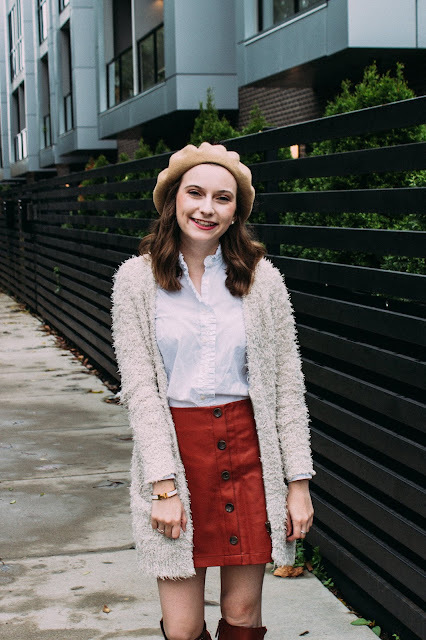 This beret is from Forever 21 and is on sale for under $10! So affordable, but you still get the trend for the season. I love the oversize pom pom on the top too! Then my classic tall Cole Haan boots are back to play. You can expect myself to wearing these on repeat until March. Tall riding style boots, in my opinion, work with practically any look! 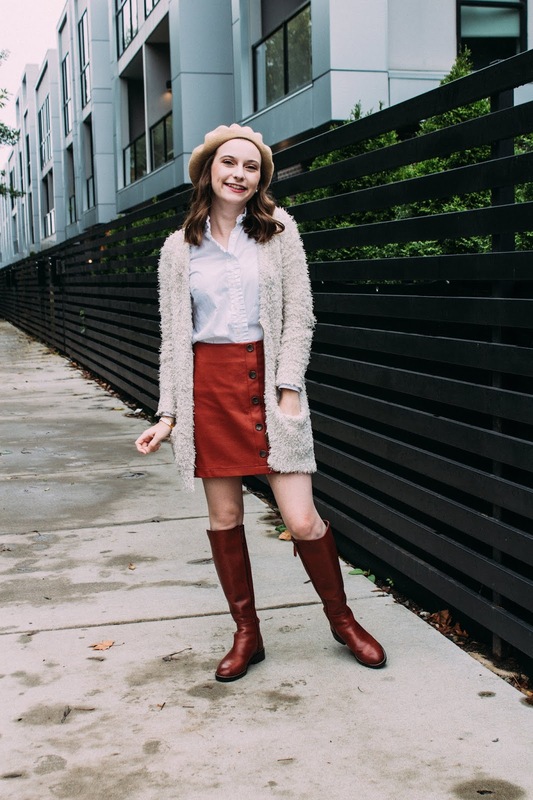 What is your favorite fall trend this year? Can you tell I'm on the beret trend? Let me know in the comments below! What I'm packing for the U.K.